The day after the Final Four games was a Sunday, and our plans were to do another interesting thing around Atlanta (just like we'd gone to Stone Mountain the day before). 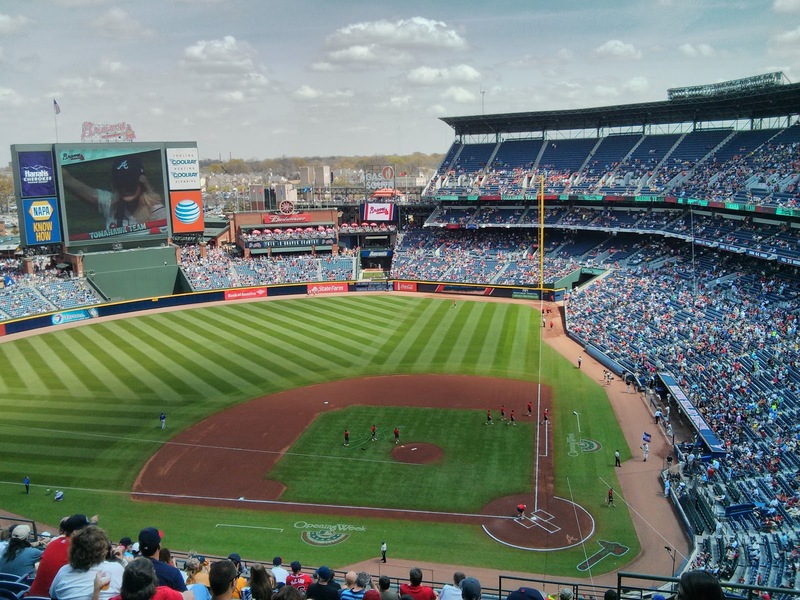 Being baseball fans and on a casual quest to see all the ballparks, what better way than to spend a Sunday afternoon than at a baseball game? The Braves were playing the Cubs, and my dad likes the Cubs (although he doesn't really follow baseball), so it worked out pretty well. This was actually my dad's first official Major League Baseball game, so that was cool. 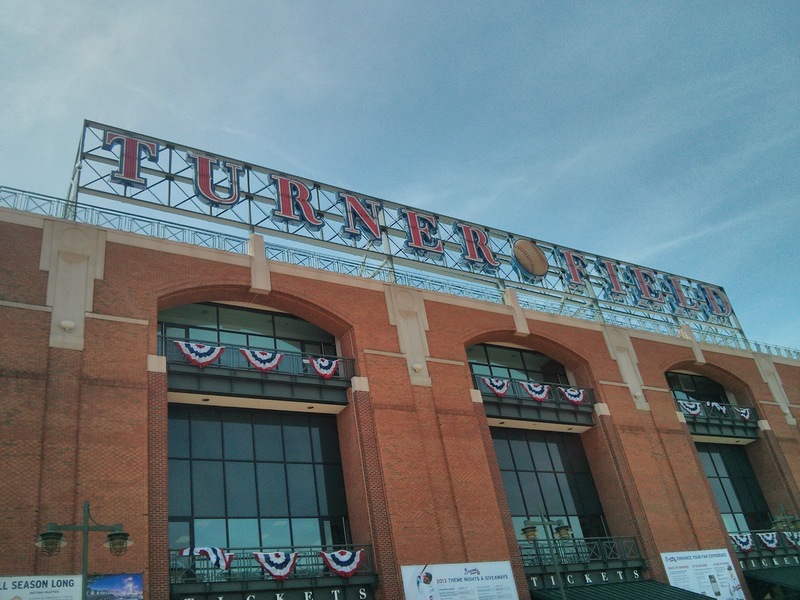 There is a bust of Hank Aaron right as you enter the park. 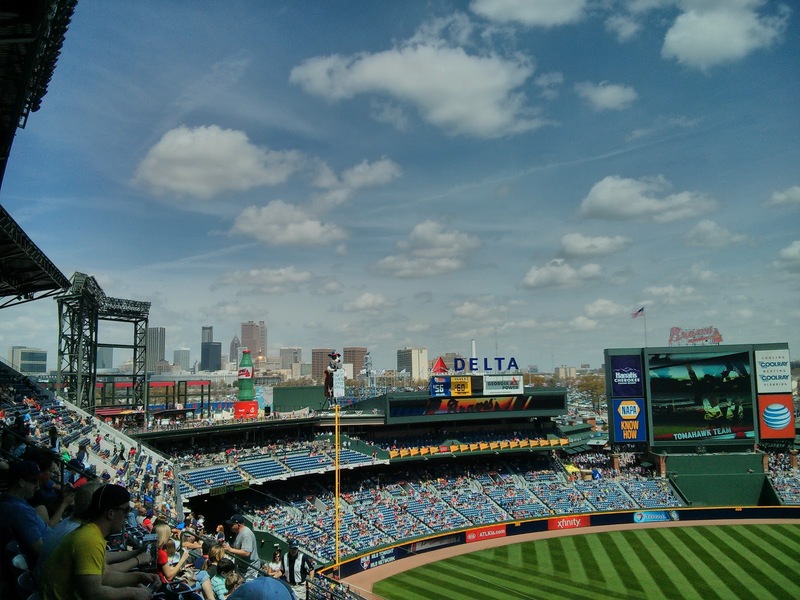 Turner Field is nice. It was packed, probably because everyone else there for the Final Four was at the game too. So we wound up really high in the nose bleed section. We brought in sandwiches, snacks, and drinks (food and plastic unopened bottles of water or soda are fine to bring in), so I don't know how the food was here. 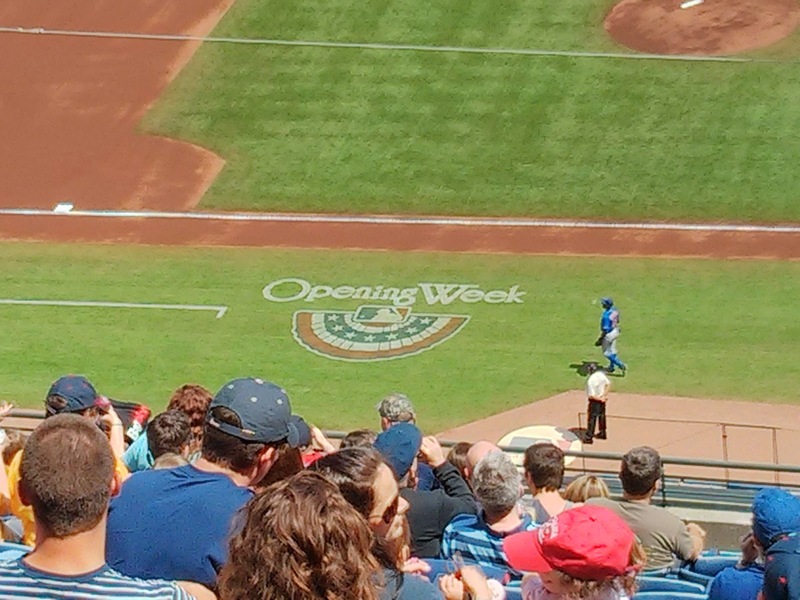 This game was our first of the 2013 season (not counting spring training or the World Baseball Classic) and it was still technically opening week. Leaving the field was pretty traffic-y and took forever, but we went under the Olympic Rings left over from the Atlanta games, so it was all right.